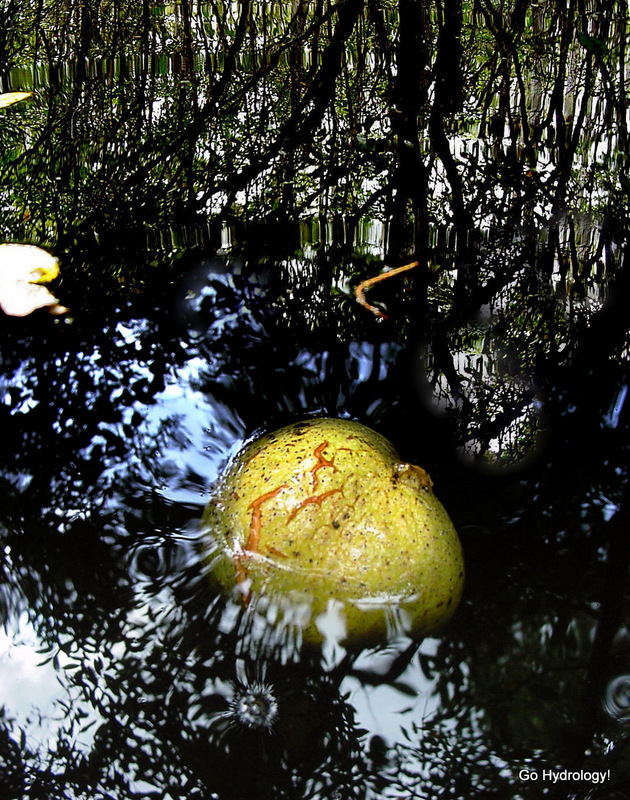 If pond apple is floating, swamp is wet. If pond apple is resting on ground, swamp is dry. Now that's a common sense test! Great photo of water and reflections.